Learn The Art Of Consistently Nailing Focus On Your Images! Now in it’s 4th Edition after 20,000 copies sold worldwide. Don’t delay to grab this awesome SnapnDeal – limited time only! Getting consistently sharp images on a camera can be tricky. Especially if you’re utilizing the factory settings on a Digital SLR. Achieving tack sharp images is a culmination of techniques and custom function that are sometimes cleverly hidden inside your cameras menu settings. Tack Sharp was written for anyone who has ever struggled with getting sharp images in different situations. Maybe you recently purchased a fast lens, but can’t figure out why the camera keeps focusing on the wrong part of the subject. Or perhaps you feel as if you’re doing everything right but still come out with slightly soft images. This process can be extremely frustrating and hard to deal with. Within the pages of this ebook, you’ll discover the tips and tricks used by the pros to take full control over the advanced systems of focus within today’s digital camera systems. Along the way you’ll see actual examples of images where these practices were put in place, often times in situations where focus would have been next to impossible to achieve otherwise. If you struggle with getting consistently sharp images then look no further, this ebook is for you! James Brandon is, simply put, an adventure junkie. 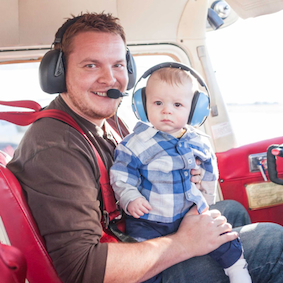 Whether he’s traveling the world in search of amazing places, chasing storms in the plains of Texas, flying around in his families Cessna Skyhawk or crawling around the living room floor with his now one-year-old son Isaac, one thing is certain; he will be taking pictures every step of the way. When James isn’t out in the world taking pictures, he blogs at his website james-brandon.com, adding new images from his collection and providing tips along the way to his 20k+ monthly readers and subscribers. 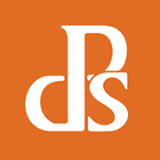 He’s also a regular contributor to Digital Photography School, providing thought provoking (and sometimes controversial) articles on all things photography, as well as reviews and tutorials. And you can always find him on Google+, Facebook and Twitter. 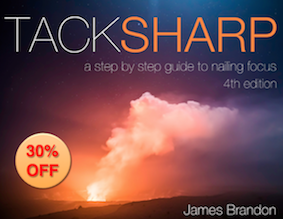 James’ first ebook Tack Sharp has been a best seller on Flatbooks.com since it’s release in 2011. It’s also been featured on Snapndeals, Digital Photography Schools 12 Days of Christmas, Photo Whoa, Picture Correct and Photo Dough. He has helped tens of thousands of photographers discover the secrets to taking sharper images with their DSLRs. 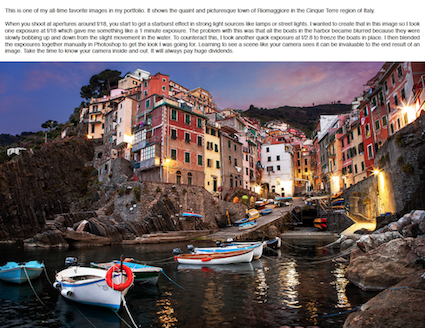 Now with his Lightroom presets and his second ebook (included free with this deal) he continues to provide valuable tools and content to the photography community.